Fresh off of an incredible performance to open the Real Music festival in Lexington Kentucky this past February with rick ross,lil kim, mya, plies, ma$e,ashanti, and ja rule. Mr Yola is poised for a launch in March. 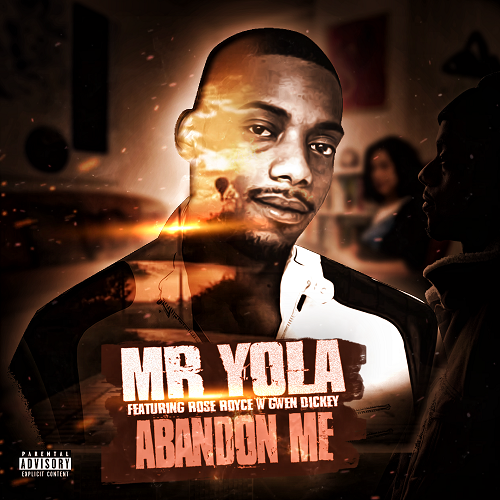 Mr Yola will release his much anticipated single Abandon me which may be familiar to millions because of the sample from Rose Royce with Gwen Dickey Love dont live here anymore. The sample cleared by Warner music was an incredible accomplishment for an independent artist, and the masterful lyrics composed are reason why. Abandon Me By Mr Yola Featuring Rose Royce with Gwen Dickey is an anthem for anyone that has had a broken heart. It takes you through a journey of Biopic pain endured By Mr Yola and does so in a spectacular, poetic, and rythmic fashion. 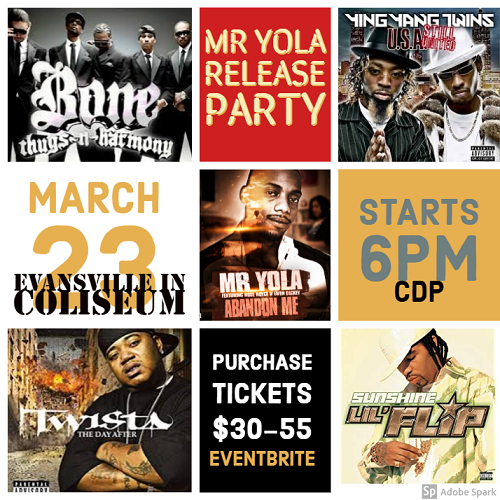 March 23rd 2019 Mr Yola has a release party with other national recording stars. Bone thugs in Harmoney, Twista, Lil Flip, and the Yin Yang Twinz. Heavy company for a new Artist to display music, but with the stellar reviews and so many stars applauding the efforts of Mr Yola, it is sure to be a success. MLB Nard - "No Baseball Cap"
Teddy-T-Doubt Me(Twisted Part II) "Produced By BigOne Beats Productions"
Kdotnizzle - "Getting to the top"
Jozey - "Sight Like This"